1830-07-02 "in bed ill of the measles"
Just before my dear Mother's death, Robert's Aunt Mary Watson died very suddenly of heart disease. For her unmarried daughters especially, it was a crushing blow, & we all miss her genial, kindly ways. Elizabeth Spence Watson's "Family Chronicles"
8 mo. 14. 1834. Jas. & Rachel Foster—Robert & Mary Spence—Elizabeth Foster Spence & Rachel Spence left for Edinbro. 8.16 by sea from Leith to Aberdeen. 18 General Meeting for Scotland, left for Urie Stonehaven. 19 Perth to Dunkeld. 20th Pass of Killicrankie, Taymouth & Killeen. 21st Trossachs, Loch Katrine, Callender to Stirling. 22 return to Edinbro & 23 home by Berwick a most delightful excursion. Now with respect to the Irish Subscription I shall state all my circumstances to thee & if thou then thinks I should pull out tell me so in thy next. Thou knows that before I was married I had saved between 800 & £1000 that when I married my income & expenditure, the last by no means extravagant ran side by side & that each year saw me in much the same position as the first. This year I have certainly had a large income between 400£ & 500£ but instead of having laid anything by as a provision for old age, or for my family if I die young, the little I had saved was decreased fully £300 by the heavy expenses of our journey & by my illness. Thou also knows that fully 300£ or £330 of what remained of my property is unproductive (that Gas affair)—Well thou well say but thou got £1300 only a little while ago but Bob if I should not love long this & all I have will be little enough to leave to those who have a far stronger claim upon it than any other object—I do think that seeing I have had to spend £300 at least from the savings of my early years to meet this years wants I must not subscribe—Our expenses for the coming year must of necessity be heavy. We have hesitated for some time whether it was right for us to have Mother over here during Sarah's confinet & this we have at last decided upon. Of course we shall pay the expense of it. There are many reasons to cause us to expect to live very nearly up to our income next year. I dont think we are extravagant & cannot in looking back tax myself with having spent much in luxuries or in such like things for ourselves—It may be a question whether we ought not to be able to spare more from our abundance for the wants of others but I think thou will acquit me of endeavouring to shirk the payt of £5 or £10 to save my pocket.—I am convinced that it is more than I should give. Art thou? Write me fully all thou thinks about it only, dont write me down stingy & never class me amongst the number of buttoned up pocked gentry who are never to be asked to give anything to anything. With regard to the objects of your subscriptions I hope you will take good care that your money is properly distributed & does not go to such worthies as purchase arms or swell the repeal rent with the money they get. Though this is a question with me—it is not the question the question is—Is it my duty or is it not. Have I the means or have I not without forgetting other stronger claims. John Chapman says that I am "on no account" to return at present & I feel convinced that on account of my health it will be wise for me to remain a few weeks longer. I find that 6 mos of 4 weeks each will be up on the 22nd of next month & I hope soon after then to return. If any pressing need arise, I am still ready to come at once but if this is not the case I believe the hope of benefit to my health is greater from the few weeks we have to remain that it has been hitherto—the only time I have suffered from cold has been during the last month & it has left me some little lost ground to regain which in the mild weather coming on now I have ground for hoping that I may do. As to reports one need not wonder—for my own part I have always thought the Directors were kept shamefully in the dark as to the real state of affairs—even poor father never knew what their position was at Newcastle "re Scarth &c" He at all events used to say so & to express frequent anxiety about it & I think the way in which the shareholders who enquired about Scarth &c were snubbed at the Genl Meetg was shameful The Chapmans have always behaved towards the Shareholders as though they had no money at stake in the concern—I consider the carrying on of that Iron business a shameful speculation—totally unjustifiable even by the way in which they say it is likely to turn out for our good. It might have been very different & whether it was so or not it is an improper sphere for Bankers—we should keep to Banking & not go into Trade. DEATH OF MR R. SPENCE, NORTH SHIELDS. We deeply regret to have to record the death of Mr Robert Spence, banker, which took place at his residence, Rosella Place, North Shields, on Saturday afternoon. Although not a public man, the deceased's venerable figure was well known in business and banking circles throughout the district, and will be greatly missed. After the death of his wife in 1878, Mr Spence enjoyed only moderate health, and six months ago his system broke down completely. No serious apprehensions were entertained, however, until a few days ago, when he took a marked change for the worse and passed peacefully away at the time mentioned. THE LATE MR ROBERT SPENCE. Having made arrangements with Messrs. Hodgkin, Barnett, and Pease, he commenced business with them as a private banker on the 14th of March, 1859. Branches were shortly opened at North and South Shields, and eventually in most of the towns of Northumberland and Tyneside. In the new firm thus constituted, (Hodgkin, Barnett, Pease, and Spence) Mr. Spence, in right of his long and valuable experience, naturally took the lead, and till shortly before his death he continued one of the most active partners. He has seen four generations of his family engaged in practical banking, his son having entered the bank in 1866, and his grandson in 1889. After his serious illness in early life, he was unable to take any active part in public affairs, and his close attention to business would alone have rendered this impossible. His holidays were always spent in exploring some new district of his native country, and his leisure at home in the study of his various bibliographical and antiquarian collections. After the death of his wife, twelve years ago, his health steadily declined, and for some months preceding his death, he was unable to attend to business. We may say a word or two, in conclusion, as to the business character of one who, of late years, might fitly be styled the Nestor of banking in the North of England. His diagnosis of an account (if a medical simile may be pardoned), was unusually clear and correct. When he was in his vigour, few men could equal him in the instinct with which he scented out accommodation transactions, or in his perception of the fact that a customer was no longer deserving of the banker's confidence. Naturally of a somewhat impetuous disposition, he was on principle gentle and courteous to his customers, even when their applications had to be most steadily refused. 'Take things by their smooth handle,' was a proverb which he often quoted, and continually exemplified in practice. GENTLEMEN,—The time for which you elected me to Represent you in the Town Council has nearly expired. Should you think fit to re-appoint me, I will endeavour to the best of my ability to discharge the duties of the Office. facturers, and at the lowest prices ever known in the trade. prominently connected with the Dorcas Society, the Indigent Sick Society, the Bible Society, the Dispensary, the Religious Tract Society, the Northern Society for the Blind. Ardent supporter of Tyne Lifeboat Institution; connected with St John Ambulance Association. Leading member of the Lit. & Phil. Keen on Technical Education Movement. Supported schemed to remove the Albion Hotel and make Saville Street and Charlotte Street one distinct thoroughfare. Uncle John Spence sent me an invitation to go to the Rocket practice, so I got Theresa to go too, and we took "Tommy" also. It began at 3 p.m. and punctually the brigade came out, dressed in uniform, Uncle John last as he is Captain. He did look so nice. The rocket was fired from the Spanish battery to the pier, at Tynemouth. All the fixing of the apparatus, and the proceedings generally, were most interesting. Then a man came across from the pier in the breeches buoy with his legs dangling down, and looking most extraordinary. With rather fear, I asked if I might go across, and amid much laughter from the spectators, squashed myself into the breeches buoy sitting like a Turk. Once off the feeling was most delightful, and I went across to the pier and back again. Once or twice I got very near the water. The muddy water from the ropes dripped over my face and clothes, and I arrived back again looking dreadful I expect. Uncle John introduced me to Major -----, and then I ran off to get dry in the house where shipwrecked people are sheltered. Tommy was much excited and pleased to see me back again. The brigade men all came in to the house to answer to their names, and Uncle John introduced us to several. They seemed to think I was very plucky, which is quite a mistake, as it was a most simple thing to do. We saw over the house which was very interesting, berths for shipwrecked sailors, baths, etc etc, and then went to North Shields to have tea at Chirton. Here we saw more interesting things. Uncle John is a really wonderful old man, so energetic and delightful. Tommy was both fascinated by and terrified of the alligator, and stood and barked at it getting nearer and nearer, till it opened its jaws with a snap, when he promptly retired, but began to approach it again. Both Theresa and I much enjoyed ourselves, and it was so nice having her with me. FUNERAL OF ALD J.F. SPENCE. In a quiet, picturesque corner of Preston Cemetery the remains of Ald John Foster Spence, J.P., were laid to rest yesterday afternoon. There was an entire absence of ceremony, the funeral being conducted in accordance with the religious observances of the Society of Friends. Still it was impressive, and it was probably the largest ever seen in the district. The cortege was timed to leave the deceased gentleman's residence, Chirton Cottage, North Shields, at 8 o'clock, and as that hour approached crowds began to congregate in the vicinity until the roadway was completely blocked. In response to the wishes of the family all, with few exceptions, walked to the cemetery, and the sight was most imposing. These exceptions were elderly or inform gentlemen who could not otherwise have taken part in the obsequies. There was no hearse, the coffin, covered with several floral tributes, including one from Mr and Mrs F. Leverton Harris, being placed upon the carriage used by the Tynemouth Volunteer Life Brigade for the carrying of the rocket apparatus. This came after a large contingent of Wellelsey boys, who headed the procession, and was drawn by twenty brigadesmen, who also provided six pall bearers. Following came a strong muster of the boats' crews of the Tyne Lifeboat Institution attired in their red caps and cork jackets. The chief mourners were: Mr Foster Spence and Miss May Spence, Mrs B. Clarke, Mr and Mrs H.C. Spence and Jack Spence, Mr and Mrs R.C. Clephan, Elsa and Lil Garvie, Mrs Garvie, Mr and Mrs R.F. Spence, Mr J. Clephan, Miss Clephan, Miss Violet Spence, Miss K. Clephan, Alwyn Spence, Elaine Clephan, Cuthbert Spence, Effie Clephan, Guy Glephan, Mr and Mrs C.J. Spence, Mr and Mrs James Watson, Mr and Mrs J.S. Spence, Mr Alexander Corder, Mr Frank Corder, Miss Fayle, Miss Bell, Dr and Mrs R. Spence Watson, Mrs Gwatkin, Mr and Mrs J.J. Gurney, Mr J.H. Taylor Miss A. Watson, Mr and Mrs Percy Corder, Mr and Mrs Walter Corder, Mr Robert Corder, Mr and Mrs Fred Corder, Mr and Mrs Herbert Corder and Philip Corder, Mr and Mrs Mounsey, Robert Philip, and Gilbert Spence, Miss Sadie Spence, Mr Kenneth Watson, Miss Mary Watson, Miss Winnie Watson, Mr Bryan Watson, Miss Mary Spence, Mr Herbert Spence, Miss Edith Spence, Mr Frank Spence, Miss Mea Spence, Dr Hodgkin, and Dr E. Brumwell. About 60 member of the Tynemouth Volunteer Life Brigade were present, under the command of Capt. Anderson, Capt. W. Fry, Capt. F.W. Hudson, and Capt. R. Reed. The Tynemouth Coastguard was represented by Chief Officer Craven and several of his men; Mr S. Malcolm, secretary; and Captains Jas. Page and Geo. Ogilvie represented the South Shields Life Brigade; and Capt. Wilkins, Capt. Herring, and Capt. and General Secretary J.W. Broderick attended on behalf of the Sunderland Brigade. The route to the cemetery held a dense mass of people, who were deeply moved by the solemn occasion, and the burial ground was also thronged. The coffin was at once borne to the grave, and the usual simple ceremony of the Society of Friends was performed by Dr Hodgkin, Mr Chas. Dymond, and Mr Thomas Pumphrey, leading members of the body. DEATH OF ALD. J.F. SPENCE. Ald. John Foster Spence, J.P., one of the best known men on Tyneside, died at his residence at Preston, North Shields, this morning, after a somewhat protracted illness. A short time ago he came home from Grange-over-Sands, where he had been ordered by his medical advisers for a change of air, but on his return he gradually sank. The news of his death will cause widespread regret. In the deceased alderman the Northern Harbour Borough has lost one of its greatest men, whose marvellous career will live in the annals of the borough, and whose memory will ever be revered. A man of exceptional capabilities he identified himself with the religious, social, and political life of the town. He was indeed the "Grand Old Man of North Shields." Although so far advanced in years he was as active and as energetic as he was twenty years ago. He could read the smallest print without the aid of spectacles, but in his old age his bearing became defective. Beyond this, his faculties were unimpaired almost up to the time of his death. Ald. 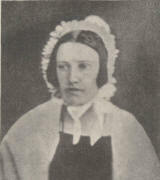 Spence came of a famous family of Quakers. His father was Mr Robert Spence, a draper and banker, who came to live in North Shields in the early part of last century and who was the founder, along with Mr Joseph Proctor, of the extensive drapery business which afterwards passed into the hands of the deceased alderman and his late brother, Mr Joseph Spence. Ald. Spence was born in Tynemouth on November 8th, 1818. His mother was Mary Foster, of Hebblethwaite Hall, Sedbergh, Yorkshire. He was the seventh and the last survivor of a family of eighteen children, of whom fourteen were girls. His mother died at the age of 62 years. Ald. Spence was educated at York, in the school of the Society of Friends, where the illustrious John Bright had been a scholar. On the 28th September, 1843, he was married to Elizabeth, daughter of the late Thomas Corder, of Chelmsford, by whom he had four sons and two daughters. His wife died on Dec 18th, 1885. It will, perhaps, be interesting to state that one of the sisters of the deceased gentleman married the famous artist, Mr Birket Foster, while another was wedded to Mr Joseph Watson, of Newcastle, the father of Dr Spence Watson, President of the National Liberal Federation. The deceased alderman's six children are all living. The elder daughter Elizabeth is Mrs Clepham, of Tynemouth, while the other, Miss May Spence, is living at home. The sons, like their father, have taken a deep interest in public affairs. The eldest is Mr John Foster Spence. The others are Thomas, who is now in America, Henry Corder, and Robert Foster. The latter is a Justice of the Peace for the county of Northumberland. He also represents the parish of Backworth on the Tynemouth Board of Guardians, and is chairman of the Earsdon Rural District Council. Deceased was quite a young man when he began to take an active interest in the public affairs of the town. It was not, however, until 1854, that he sought municipal honours, and from that time onward he gave himself up to public work, not only in his native town, but in the district generally, and how well that work has been appreciated is abundantly manifest. Before entering the Council he had laboured, in conjunction with other gentlemen interested in the town's welfare, in effecting the incorporation of the borough. Seven years after he was elected on the Town Council he became Mayor. In April of the following year he was raised to the Aldermanic Bench in succession to his friend, the late Ald. John Tinley, and old master of the present Town Clerk (Mr H.A. Adamson). In 1867 some difficulty arose between him and his colleagues as a result of which he retired from the Council, but although he did so he continued to take an active part in the welfare of the town. Three years later, however, he again offered himself for election and was successful. From this time up to his death he was a member of the Corporation. He was re-elected to the Aldermanic Bench on Sept. 16th, 1874. He was for the second time elected Mayor in 1891 and occupied the honourable position for three successive years. Thus for four years he held the civic chair, a unique feature in the history of Tynemouth. When his brother Joseph retired from the Council many years ago, Ald. John Foster was given his position as chairman of the Sanitary Committee, which position he occupied up to the time of his death. Ald. Spence was the oldest member of the Tynemouth Board of Guardians, and during the forty-seven years he sat on the Board he looked after the interests of the poor with unrelenting ardour. He was first elected on the Board in April, 1854, and was appointed chairman in 1894, immediately after the Board had been re-elected under the new conditions imposed by the Local Government Act of that year, and he held the position till the time of his death. He was a familiar figure at the Workhouse on a Christmas Day, and for very many years he ate his Christmas dinner along with the old people at the House. At the last annual meeting of the Board he was unavoidably absent owing to a prior important engagement, and in a letter he wrote excusing himself, he pointed out that that was the first annual meeting he had missed for forty-five years. Ald. Spence, amongst other public services, took a very prominent part in the agitation which ultimately lead to the establishment of a separate Custom House in North Shields, a year previous to the incorporation of the borough. He took an active part in the agitation which led to the creation of the River Tyne Commission, and was appointed a life member on January 16th, 1884. He was a member of the North Shields Improvement Commissioners before the incorporation of the borough. In 1879 the Tyne Port Sanitary Authority was formed, and he, along with Ald. Green, were elected the representatives of the Tynemouth Corporation on the Authority. The latter gentlemen together with Ald. W.D. Stephens, Ald. J.M. Winter, Ald. Owen and others did much to further the work of the authority, and in 1876 or thereabouts an hospital was established to which infected cases were sent. Ald. Spence has been chairman of the authority since 1885. He was elected on the first School Board in 1871, which was the only election conducted under the old system of open voting, and retired in 1889. He was vice-chairman for three years and chairman for a similar period. He was succeeded in the chair by Canon Stark, who was re-elected chairman of the Board at their last triennial meeting. When the Local Government Act came into operation and the borough failed to be recognised as a county borough, Ald. Spence was appointed one of nine representatives of the Tynemouth Corporation on the Northumberland County Council of which he was one of the original members. The deceased gentleman also took a deep interest in the welfare of the seafaring class, and was the first and only chairman of the Tyne Sailors' Home at North Shields, which was opened 45 years ago. He, together with Mr Bartleman, Mr Charles Laing, Mr Soloman Meas, and other well-known old Shieldsmen who have long since passed away, took an active part in the formation of the Home. Ald. Spence also took a great interest in the cooking classes held under the auspices of the Technical Education Department of the Northumberland County Council for the purpose of instructing seagoing cooks. It was owing mainly to his exertions that these classes were formed, and up to the time of his death he fought against great difficulties in connection with the classes, caused by the irregular attendance, etc., of the seamen, many of whom were ashore only a few days at a time. However, excellent results have accrued under his guidance, for he was a man who surmounted every obstacle, and fought his way doggedly to success. His connection with the Volunteer Life Brigade movement will live in history. His efforts, in conjunction with the late Mr John Morrison, who was the originator of the scheme, and his brother, Mr Joseph Spence, are well known. When the Tynemouth V.L.B. was formed, in December 1864, just after the wreck of the Stanley, Ald. Spence was appointed secretary, which position he held up to the time of his death. On a winter night when the storm raged at its height he could be seen at the Battery Point clad in his oilskins, and as eager for the fray as the youngest member. Many times he has been drenched, with the ice-cold water, but thanks to his splendid constitution he suffered no ill effects despite his old age. He was not only instrumental in directing attention to the usefulness of such institutions, but was the means of influencing the Board of Trade to print in England and foreign languages on iron tablets, a code of instructions as to the use of the rocket apparatus, to be placed on board of vessels of all nationalities. He also succeeded in securing the present commodious and comfortable Brigade House. Shortly after the Tynemouth Brigade sprang into being, a brigade was formed in South Shields, and since then they have sprung up all over the world. About eleven years ago portraits of the three founders of the Tynemouth Brigade, John Morrison, John Foster Spence, and Joseph Spence, were unveiled in the Brigade House. The paintings were by Mr Frank Ogilvie, and were presented to the brigade by an admiring public. They still hang in the Brigade House, and will perpetuate the memory of those three pioneers who have been the means of saving so many valuable lives. Ald. Spence was always present at the annual supper of the brigade and the evening's harmony was never complete until he had sung "The Gallant Life Brigade," being descriptive of an incident which occurred many years ago, when a member of the Tynemouth Brigade was washed from the pier and drowned. In connection with this it may be interesting to state that the three founders of the institution started a fund for the purpose of helping to support the widow and family of the heroic member, who were allowed one guinea weekly until the family were able to provide for the mother. At the annual supper the deceased alderman would never allow the proceedings to continue after ten o'clock, and at that hour the members had to disperse. Ald. Spence was place on the Commission of the Peace for the Borough of Tynemouth on the 22nd March, 1860, his colleagues on the bench at that time were the late Dr Bourne, the late Mr E.D. Potter and Mr J.M. Redmayne. He was prominently identified with most of the undenominational and philanthropic societies in the borough. He has been a Governor of North Shields and Tynemouth Dispensary since 1852, was elected vice-president in 1865 and has occupied the position of chairman since 1889. The Tyne Lifeboat Institution claimed his as one of their oldest and most energetic supporters. He was also connected with the Tynemouth Ladies' Dorcas Society, the Indigent Sick Society, the Bible Society, the Religious Tract Society, and many other societies of a philanthropic nature. He was a prominent member of the Newcastle Natural History Society, and was a member of the committee which carried on the University Extension movement in North Shields for many years. The alderman also took a deep interest in the work of the Royal Humane Society, and was their local representative. He was also one of the founders of the Northumberland Coast Club, and read several very interesting papers to the members. These papers were generally given at length in the local press, for they contained valuable historic facts relating to the locality, and were always treasured by local historians. The alderman liked nothing better than to give these reminiscences of his youth, and the many interesting narratives he has told would in themselves fill a volume. The Northern Counties Blind Asylum at North Shields had no more enthusiastic worker, and he was for many years secretary of the institution. He was always present at the annual meetings and did much to further the work of the asylum. Of the Tynemouth Royal Jubilee Schools, founded on the Jubilee year of George III, he was for many years secretary. The schools were subsequently taken over by the School Board. He was also a member of the committee who had charge of Kettlewell's Endowed School and on the death of Mr J. Proctor he was elected to the secretaryship. He was an ardent supporter of the St. John Ambulance Association and was the means of securing for the Association a footing in North Shields, where at the present time it is in a flourishing condition. Ald. Spence was also an ardent worker in connection with the Literary and Philosophical Society, which had its headquarters in the old Mechanics' Institute. It is safe to say that the deceased gentleman was identified directly, or indirectly, with almost every brand of religious, social, philanthropic and educational work in the town. Many years ago he gave his earnest support to the scheme for the removal of the Albion Hotel, which made Saville Street and Charlotte Street one continuous thoroughfare, and thus assisted in carrying out a very important street improvement. On October 10th, 1894, when the deceased gentleman was Mayor of the Borough, he, together with Ald. Green was presented with the Freedom of the Borough as a token of public appreciation for eminent services rendered. At a meeting held some months previous to the presentation of the Freedom, the following resolution was moved by Mr A. Whitehorn (then Ald. Whitehorn):—"That in response to a wish, widely expressed throughout the borough, this meeting resolves that a presentation be made to J.F. Spence, Esq., in recognition of his lifelong services in connection with the public institutions in the borough, his exertions in the advancement of education, and on behalf of various charities, and for the untiring part he has taken in the work of the Tynemouth Volunteer Life Brigade, and also in connection with every work calculated to promote the well-being of the inhabitants and the prosperity of the borough." Ald. Whitehorn, who was then Deputy-Mayor, presented the Freedom of the borough, and after the ceremony had been concluded, Mr R.S. Donkin, who was then Member of Parliament for Tynemouth, asked Ald. Whitehorn to accept on behalf of the Council, a life sized portrait of Ald. Spence, painted in oil, to be hung in the council chamber. He then presented Ald. Spence with a similar picture painted by Mr F.S. Ogilvie of North Shields, to adorn the walls of his own house, also a silver salver and other articles, and a piano for the mayoress (Miss May Spence). In making the presentations, Mr Donkin paid a fine tribute to the work of the deceased alderman. His work in the borough had been devoted to them, said Mr Donkin, for the last half century, and the duties he had performed throughout that long period, had scarcely been excelled by any mayor in the United Kingdom. If he had not fulfilled a single official capacity, he considered that the fact of his having held the captaincy of the Tynemouth V.L.B. since the time of its inception some 30 years ago, they would have had ample justification for the proceedings that day." [. . .] At nine years of age John was put on the top of the coach at Newcastle on a cold winter day and sent off alone to York, where his brother Robert was already settled in at school, and many times he has told me what a little castaway he felt. Their Master, "Billy" Simpson as he always called him was evidently a most unsuitable instructor of youth, and was preparing for a new career as a brewer. He brewed quantities of beer, and to test it, the boys had to drink mugsful at every meal, whether they liked it or no. Once, Myles Foster, John's mother's brother, called, and finding W. Simpson flogging a boy, told him that if he ever so treated any relation of a Foster or Spence, every one would be removed from the school, so none of them ever benefited by the proverbial rod. Under John Ford matters went very differently, and J.F.S. always spoke of him in terms of love and respect. J.F. Spence was devoted to Natural History in all its branches, and he had large collections of shells, butterflies, minerals, fossils, and curious beasts in bottles, or alive, when he could get them from the sailors entering the port of Shields, and Chirton Cottage, where he lived, was quite a home for destitute reptiles, beasts, and birds. Botany was also a very pet hobby and his garden was full of rare plants and gave him great pleasure and interest. He was also a very clever joiner and the toys he made for his children would compare well with those of the present day. How he managed to take keen interest in all these subjects, in addition to business and his public life, was wonderful, but "Where there's a will there's a way" was always his motto, and he had the power, as he once told me, of putting aside at once any subject no matter how engrossing or upsetting it might be, and throwing himself into the next work with his mind quite free. He was intensely single-minded, what was right was the main thing. Intense simplicity characterised his whole life in every particular, the greatest abstemiousness in food and drink, constant work till late at night, and up early in the morning, and yet there was not a more truly happy man in the world, nor one who kept his youth more thoroughly. His intense enjoyment of any pleasure, such as a day in the country, or a family gathering, was charming to see, and even at the time of his death at nearly eighty-three years of age, his childlike clear, merry blue eyes told of his healthy, happy life. No work was a trouble to him, and indeed if anyone suggested "Will it trouble you too much, Mr. Spence," his answer was "I do not know the meaning of that word." He must have been a mischievous lad, for he used to tell tales of practical jokes with the greatest delight. One of an old grey hen, decorated with sealing wax, etc., described as a wonderfully rare bird from Japan, the "Volucrus Hong Kong" by name, and purporting to be sent by a distinguished savant to a budding astronomer, as a token of respect. The bird was hailed with delight, stuffed, and presented amid applause, to the Natural History Society, of North Shields. It still reposes in its case, cocking its eye as if it saw the joke. Another, of a squib tied on to the tail of an objectionable poodle, whose mistress thought the devil had gone under her bed as the squib exploded, was very funny. He left school at about fourteen years of age, and very few years after was appointed Secretary of the Natural History Society, then a very flourishing body in North Shields. In 1839, when twenty-one years old, he went abroad for some weeks, visiting the Rhine and Switzerland, and left an interesting diary. En route for Hull, he says: "Arrived at York and had to wait for Hull coach, so ran along to see the old school, play ground very much altered, considerably larger and looking very pleasant, as the poplars planted when I was there have grown considerably." In 1843, he married Elizabeth, daughter of Thomas and Mary Corder, of Reeds, near Chelmsford, and had six sons and two daughters. The four sons who lived were all sent to Bootham, and it was a pleasure to him when the third generation also went there. When the writer and her brothers were at school in York, every autumn a message was sent to the "Mount" & "Bootham," asking all Spences and relations of Spences to join him at the hotel for half-past seven breakfast. Then what a day we had! Attended by as many as ten boys and girls, with his coat tail pockets filled with good things, he went in search of the old cabman with a very capacious vehicle, who always whipped up when we hove in sight, and we all packed in, fruit and food under the seats, girls and J.F.S. inside, and boys by the driver and on the roof, and off to Strensal for the day. Plant tins, collecting boxes, and butterfly nets all came out, and he was as young and eager as any of the party; telling us tales of what they used to do "When I was at school," and how much better the country side was then for Natural History. Back to tea at the hotel, and then to see him off by train, with such pleasant memories to cheer us, and his kindly "Take care of yourselves" ringing in our ears. His father died in 1845, and he took over many of his responsibilities and appointments. He laboured hard to effect the incorporation of the Borough of Tynemouth, and in 1854 was elected a Councillor, and an Alderman in 1862. He was Mayor of the Borough in 1861, and again in 1891, when he held the position for three consecutive years; and received the Freedom of the Borough, a portrait, hung in the Council Chamber, and many other tokens of love and respect, not only from his fellow townsmen, but from the whole County of Northumberland. He was Chairman of the Sanitary Committee and of the Board of Guardians, served for six years on the School Board, and was Vice-Chairman of that Body, and when the Local Government Act came into operation, was elected a County Councillor for Northumberland. He was foremost in the establishment of a Custom House for the Borough, and also in the formation of the River Tyne Commission, of which he was a life member. He was also on the Salmon Conservancy Board. He was prominently connected with the Dorcas, Indigent Sick, Bible and Tract Societies, the Dispensary, and the Blind Society. For many years he was Secretary to the Jubilee, Kettlewell and Union Schools, and was appointed a Magistrate in 1860. He took the deepest interest in sailors, and was instrumental in the building of the Sailors' Home, and on the Committee from the beginning. The Tyne Lifeboat Institution, too, claimed him as one of its most ardent workers, and the Sailors' Widows' and Orphans' Society owed much to his help. He started the St. John's Ambulance Association in North Shields, and was one of the first to take a certificate. He was a prominent member of the Literary and Philosophical Society, and the Technical Education Movement in Shields, of which he was Honorary Secretary, owed much to his exertions. He also took deep interest in the Boys' Aid Society, and, in fact, at the time of his death was associated with between sixty and seventy Movements and Committees. The chief work of his life was the Volunteer Life Brigade for saving life from shipwreck, and with it his name will always be associated. His brother Joseph, Mr. John Morrison, and himself founded the first Brigade at Tynemouth in 1864, just after the wreck of the steamship "Stanley," on the Black Middens at Tynemouth, when many lives were lost owing to the lack of trained men to help the coastguard. He was Honorary Secretary from the first, and as the Board of Trade consulted him, and all new Brigades asked his advice, the work was enormous. He only laid down the duties with his life, as the last act that morning was to send out notices for a drill. LOYAL BRITISH FLAG LODGE OF ODDFELLOWS, M.U. JOSEPH SPENCE, J.P., has kindly consented to LAY the FOUNDATION STONE of the New Hall, Saville-street, West, North Shields, on Whit-Monday, June 5th, 1865, at Three o'Clock p.m. A number of Clergymen and Gentlemen of the Town and Neighbourhood will take part in the Ceremony. The DINNER at the Albion Hotel will take place at Four o'Clock. Tickets, 3s. each, can be had at the Bar of the Inn, or Brothers. J. Coulson, Bedford-street; J. Ray, Bird-street. G. KEWNEY, Esq., in the Chair. DEATH OF A WELL-KNOWN NORTH COUNTRY LIBERAL.
. . . your Aunt Anne is quite laid on the shelf with a bad arm. It is a gathering under the arm and till it has come to a head will make her feel weakly and poorly. She gets about however & reads a good deal but being her right arm she cannot do anything else. Anne is writing to John to propose a change for dear Meggy. She is very nicely and a friend of ours a medical man—very clever in consumptive cases—who has taken a great interest in her case and often comes to see her in a friendly way—says he things it is of the utmost importance that she should get to the Isle of Wight. He says that instead of getting weaker as Dr Watson expected she is getting stronger and that she is at the turning point. If this be done at once he has great hopes of her recovery. He is a most kind man—a retired gentleman most desirous of benefitting any of his friends in that way afflicted so really we think it would be wrong not to give it the chance of doing her good—he says it is a very peculiar case and change of air at this time is everything. This page was last revised on 2018-08-24.